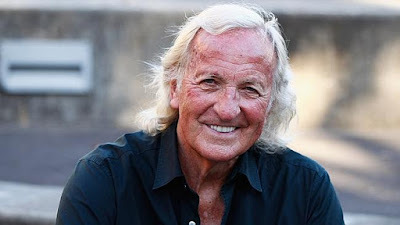 Documentary filmmaker John Pilger discusses the real story behind the U.S.'s opposition to Russia, China, North Korea, and Syria. Pilger's shrewd analysis of actual U.S. foreign policy naturally leads to a discussion of former Secretary of State Hillary Clinton, the corruption of both Clinton and the Democratic Party, the propaganda served up by the mainstream media, and (in Pilger's view) Clinton's well-deserved loss in the 2016 election. Pilger responds to questions from Cindy Sheehan, from a broadcast of May 23, 2017. Audio courtesy of The People Speak, with Cindy Sheehan. The original program is available on radio4all.net. I have edited the audio slightly, mostly removing stumbles and hesitations. Here it goes, the last podcast on the left I listen succumbed to the primitive conspirological leftism sidecking for the maniacs worlwide using whole arsenal of logical fallacies, moral relativism and wishful/wilfull? lies to patch up a comfy escapist fairy tale around evil American masterminds.